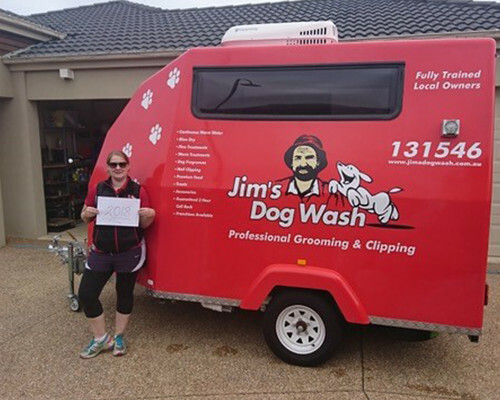 Hi my name is Cath Percival from Jim’s Dog Wash Langwarrin. No dog is too big, no dog is too small I will do them all!! I’ll wash, I’ll groom, even give them a little perfume.